There’s a new generation of young farmers battling droughts and aphids, wild pigs and gophers to bring their wholesome produce to the table this harvest season. 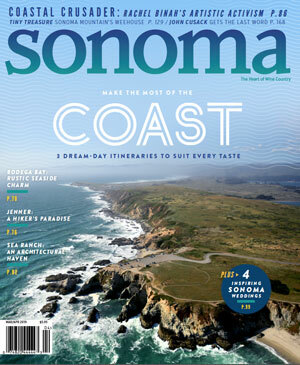 Toiling in the soil from Geyserville to Petaluma, Sebastopol to Sonoma, this new crop of cultivators has brought growing energy and expertise to the local food movement. Some of them have access to family land, others work as farm managers, and some lease their plot of earth. They all share a common goal of sustainability for the long-term health of the land. They are serious about attracting beneficial insects, rotating crops and planting the tastiest heirloom vegetables you’ve never heard of, from Red Burgundy okra to Marina di Chioggia squash. Picking produce at the peak of freshness in the morning and rushing it to local restaurants and markets with all its flavor intact is really what feeds these farmers’ souls. Then it’s up to us to take those perfectly ripe Padron peppers and nudge them toward nirvana with a splash of olive oil, a flash of heat and a sprinkle of salt. David Pew checking on some tomato plants in his mobile greenhouse at Six Oaks Farm. Farm Manager David Pew, 37, walks through the raised beds at Six Oaks Farm in Geyserville and tests an ear of corn for sweetness. Pew has a degree in environmental geology from UC Berkeley and studied at the Center for Agroecology and Sustainable Food Systems at UC Santa Cruz. 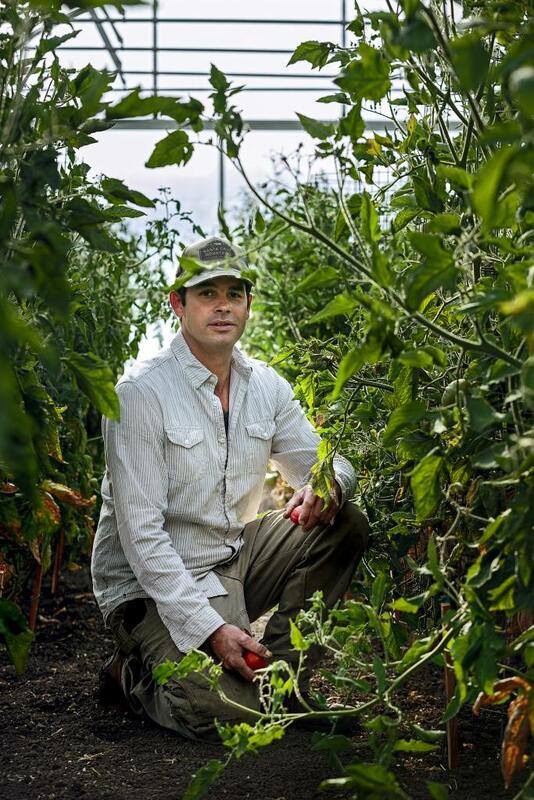 The sustainable farmer was lured to Six Oaks by the long-term vision of its owner, Hal Hinkle. “Hal has a vision of a ranch that is holistic, with biodiversity and beneficial habitat,” Pew said. 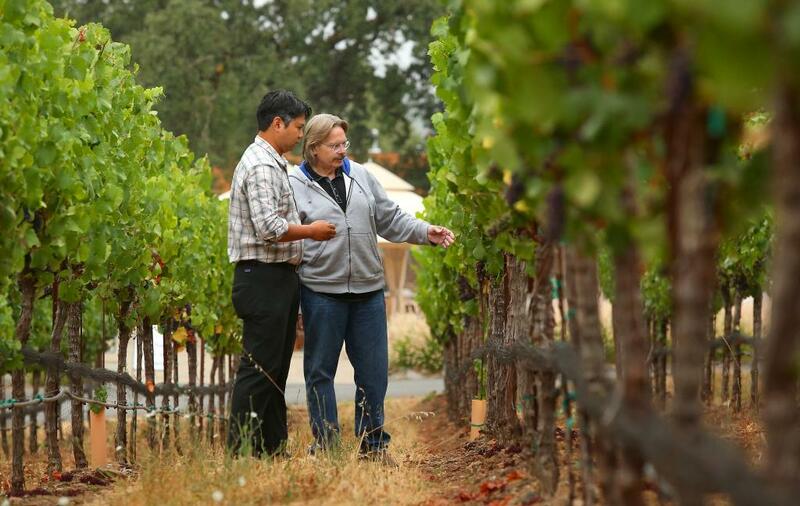 The 2-acre vegetable farm is located at Sei Querce Vineyards, a sprawling ranch in the Alexander Valley dotted with valley oaks and Cabernet Sauvignon vines. Six Oaks produces everything from Charentais melons to Padron peppers, which are sold to restaurants and at the Healdsburg Farmers Market. Emily Mendell and Ian Healy, of Handlebar Farms. Emily Mendell, 31, and Ian Healy, 30, both grew up in the Midwest, amid the towering tassels of corn farms. The couple went through a few careers, first as park rangers in Alaska, then as educators in Marin County, before deciding to sink their hands into the soil. 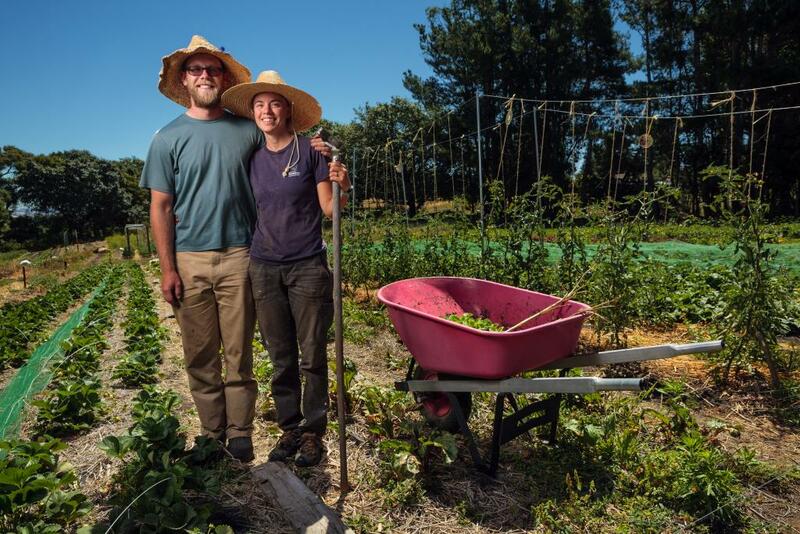 With the help of FarmLink, a nonprofit that helps young farmers find land, they leased 2 acres of loamy soil in southwest Sebastopol in 2013 and launched Handlebar Farm. Healy delivers produce to local restaurants and sells at Santa Rosa’s West End Farmers Market. He also oversees gopher eradication (163 and counting). The farm received organic certification this spring and grows a wide range of crops, from tender lettuces to sturdy peppers. Like the West End Farmers Market, the couple takes a break for a few months in the winter. Emmett and Lynda Hopkins, and their daughter, Gillian. Emmett and Lynda Hopkins, both 31, have a reputation as community builders as well as farmers. 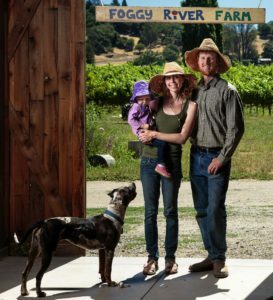 The couple, who met while pursuing five-year master’s degrees at Stanford University, have farmed for seven seasons on 4 acres next to the Russian River, southwest of Healdsburg at what they call Foggy River Farm. The surrounding ranch was originally planted to hops, then pears and prunes, and finally wine grapes. It’s a microcosm of the region’s history. Last year, the Hopkins experimented with the endangered Bodega Red potato. This year, they added a purple barley and 12 varieties of heirloom dried beans. “We’re interested in growing as many different parts of the diet as we can,” said Emmett, who sells at the Healdsburg Farmers Market, the Santa Rosa Original Farmers Market and through Foggy River’s subscription program. In the past few years, the couple also hatched a new chick, 2-year-old daughter Gillian. As a third-generation farmer on his family’s 200-acre ranch, Emmett leases the land for a nominal fee. But that doesn’t protect the farm from disasters. In her blog, Lynda has documented their ongoing war against marauding wild pigs. Andrea Davis-Cetina of Quarter Acre farm with some tomato plants. Andrea Davis-Cetina, 31, grew up in Maryland watching the surrounding farms disappear under houses. 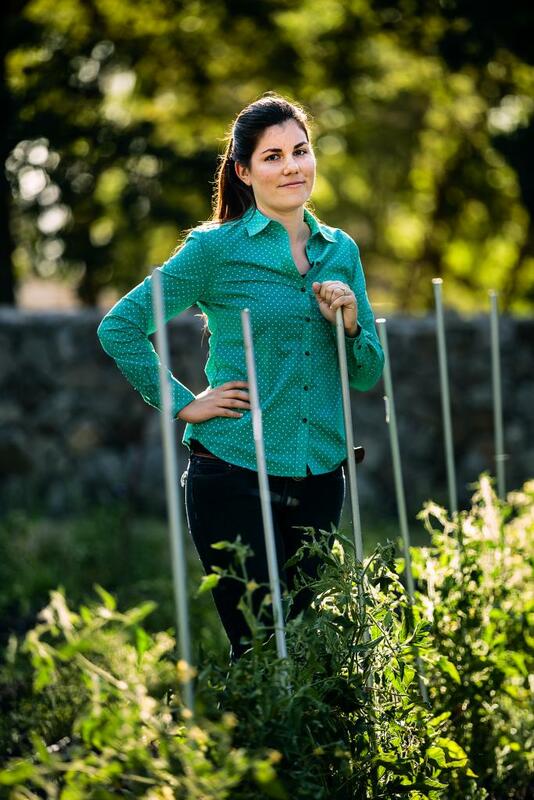 Vowing to make a difference, she studied sustainable agriculture at Hampshire College in Amherst, Mass., then headed west to join the sustainable-food movement in Sonoma. 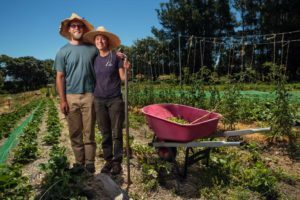 She got a job as the edible gardener for The General’s Daughter restaurant in Sonoma, then launched Quarter Acre Farm in 2008 in the Two Rock Valley of Petaluma. The next year, Davis-Cetina leased land closer to home, on East McArthur Street in Sonoma, and started selling her organic produce at the Sonoma Farmers Market. But the low-lying land was under water most of the winter. In 2011, she moved Quarter Acre Farm once again, to a zigzag patch 2 miles south of the Sonoma Plaza. In 2014, she faced a different challenge. The drought required her to dry-farm without water. But the feisty, first-generation farmer is determined to persevere as one of the few young farm operators and organic growers in Sonoma Valley. “It likes plenty of heat,” he said. “You need to harvest it every other day, when the pods are young and tender.” Although Southerners like to pickle or fry okra, Pew prefers to cut it into rounds and dry-sauté it in a cast-iron skillet. “It’s really good for Asian stir-fries,” he added. After 17 years at Williams Selyem, winemaker with a knack for shaking things up is ready for new adventures.